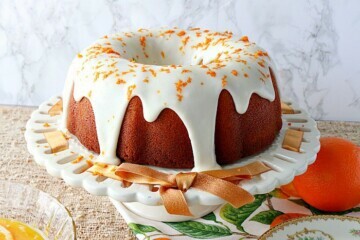 If you’re ready to bake away the winter blues, let me suggest starting with this deliciously moist and flavorful orange bundt cake with banana and poppy seeds. Don’t wait, make one today. On your marks, get set…BAKE! !